Home Boulder Events	Sanitas Taco Fest, Boulder’s First! Sanitas Taco Fest, Boulder’s First! Boulder’s FIRST EVER Taco Fest is happening!! Sanitas Taco Fest will be held this Saturday, August 5, 2017 at Sanitas Brewing and you do not want to miss it. McDevitt Taco Supply, known for their ‘Super Heady Tacos’ will have amazing flavors for every taste. McDevitt will be offering 40+ GOURMET tacos for you to choose from. Try everything from Mr. Roboto Taco (Asian steak topped with tangy slaw) to their famous Kale yeah! tacos. A Taco Fest would not be complete without a really good lineup of beers to pair with all those amazing gourmet tacos. Sanitas Brewing Co will feature 20+ EXCLUSIVE Sanitas Beers. Founded in 2013, Boulder’s Sanitas Brewing Company is regarded for their signature blend of tradition and innovation as well as their use of only the finest ingredients. Live Lucha Libre wrestling! Live Music! Luchadores will be throwing down bringing pure entertainment while pro comedian announcers will have you laughing so hard you’ll be spitting out your beer. Enjoy the vibe of internationally renowned artist and composer, Paa Kow. Selassie & Fafa Family will keep everybody jamming through the night. Not only are kids tickets FREE (for kids 5-12), but the Taco Fest provides some extra fun activities to keep the kids happy while mom and dad relax. Kids will enjoy the FREE inflatable obstacle course, pinatas (for all ages! ), and more! General admission ticket includes entry into event with access to Lucha Libre Wrestling show and live music. Beer and Tacos are additional onsite. Tickets available here. VIP ticket includes 5 tacos and 3 beers, VIP lounge in brewery with A/C, deck viewing of Lucha Libre wrestling, live music, and inside bathrooms.Tickets available here. Kids (5-12) tickets available here. 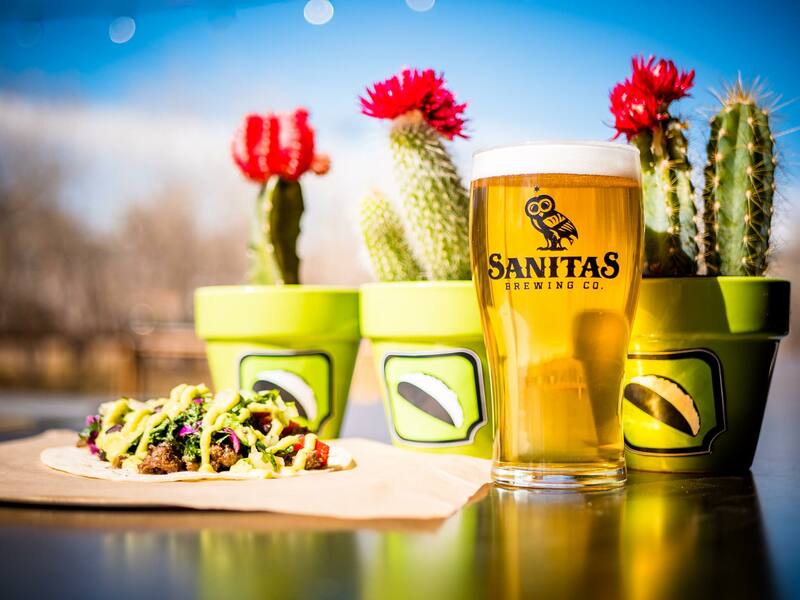 The Sanitas Taco Fest will take place from 2PM – 9PM this Saturday, August 5 at Sanitas Brewing, 3550 Frontier Ave Unit A, Boulder, Colorado 80301.